A 25-year-old girl using the netname “laohe” recently organized a creative blind date fair in Beijing where attendees searched for their ideal partners by checking each others’ online shopping history. A 25-year-old girl using the netname “laohe” recently organized a creative blind date fair in Beijing where attendees searched for their ideal partners by checking each others’ online shopping history. Laohe believes that the lists, compared to WeChat or microblog accounts, are much closer to people’s real lives, since many people fake their interests or lie about their lives online, but few would go to the trouble of faking their shopping history. The lists truly reveal the owner’s hobbies, interests, habits and even personality. According to e-commerce shopping giant Taobao, one of the fair’s sponsors, the fair successfully connected 27 couples, nine of whom have decided to continue the relationship. 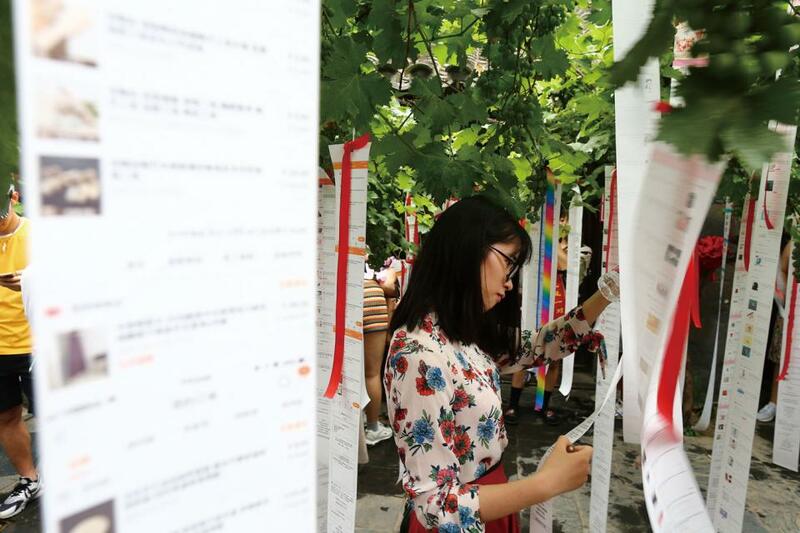 Netizens agreed that such blind dates are at least much more reliable than the common practice in China of parents gathering at a park and hawking around their children’s resumes and photos.